We are happy to announce another workout in our ‘Fall Fitness Series’ right here in New York, New York. We absolutely love this time of year when we get to gather the EBOOST community together and get a little sweaty together. 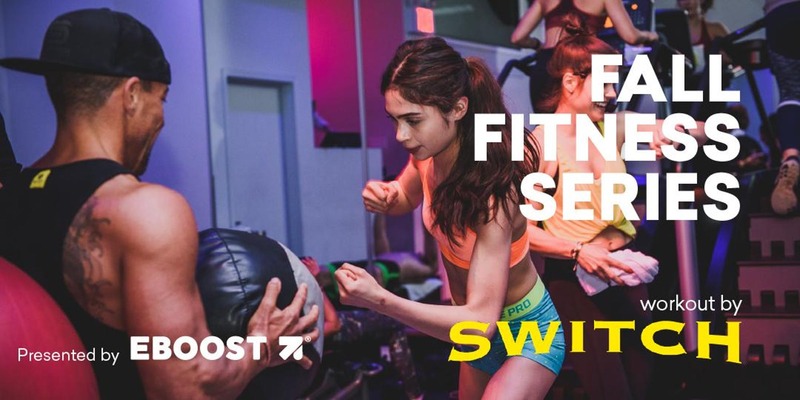 If you live in New York and can sneak out during your lunch break for a workout, then you don’t want to miss out on this brought to you by SWITCH Playground. 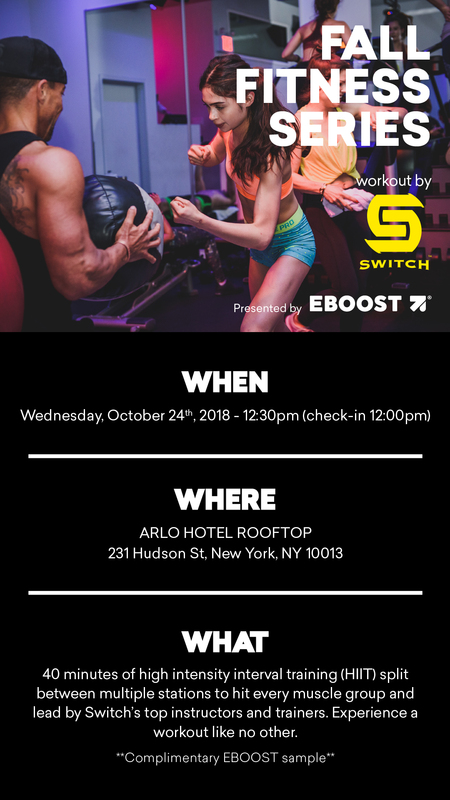 Come join us for a free workout class by SWITCH Playground at the Arlo Hotel Rooftop in SOHO. The workout will be 40 minutes of high-intensity interval training (HIIT) split between multiple stations to hit every muscle group and lead by SWITCHs top instructors and trainers. Experience a workout like no other! PLUS, complimentary samples by yours truly, EBOOST! If you have a friend that has never tried EBOOST, then this is an easy way for them to try our products for absolutely free. Snag your free ticket here.